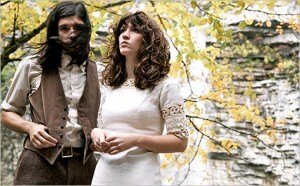 Shoegaze band Widowspeak consists of guitarist and vocalist Molly Hamilton and guitarist Robert Earl Thomas who make wonderfully dark and hazy music. If you’re feeling German BBQ, you can head over to Fette Sau (fat pig in German), where the owners of nearby bar Spuyten Duyvil have opened up this meat only restaurant serving up some of the best pork and beef in NYC. For drinks, Spuyten Duyvil is a beer lovers dream, with a selection from all over the world, friendly and knowledgeable bartenders and a neighborhood feel, it’s no wonder this place has been so successful. If you’re still ready for more, you must hit Union Pool, where there’s always a band playing, great DJs, and plenty of action. John Wesley Harding’s Cabinet of Wonders returns to City Winery, featuring a host of specially invited guests from the worlds of comedy, literature, arts and music. Nearby, Pakistan Tea House is a buffet style Indian restaurant where you can choose between chicken, meat, fish and vegetables. It’s affordable and very good. For drinks, check out Mocca Lounge. With a funky interior and a menu of Italian inspired fare, it’s also a bar with a large list of coffees with or without alcohol, beers, and frozen shots. Smack dab in the heart of Chinatown, the Chinatown Ice Cream Factory makes gourmet ice cream flavors like Black Sesame, Ginger, Durian, and more exotic flavors like Taro and Wasabi. Don’t worry, they have the go-to’s like Vanilla, fruits, and chocolate flavors too. 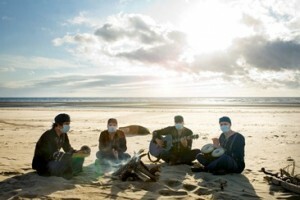 Psychedelic pop act Clinic play unbelievably catchy music, and consistently too over the eight albums they have produced to this day, and they wear surgeon masks! A little known sushi joint, Koo Sushi offers affordable and fantastic fish with an impressive number of specialty rolls. For a bar that looks like any other, Blind Tiger Ale House offers an impressive number of beers including draught, bottled, cask and one called Louise’s Bloody Beer. Try it if you dare! If you’re in the mood for some comfort food, Peanut Butter & Co., offers some PB heavy hitters like the Elvis, a PB, banana, and bacon sandwich that tastes better than it sounds. 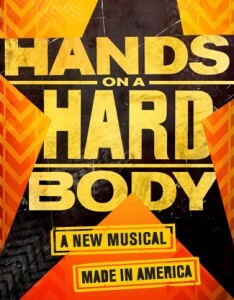 Inspired by true events, Hands on a Hardbody is a new musical, about 10 people in Texas up for winning a truck the old-fashioned way, by keeping one hand on the truck the longest to win it. Featuring a book by Doug Wright (Pulitzer Prize winner, I Am My Own Wife), lyrics by Amanda Green (Bring It On: The Musical) and music by Trey Anastasio (Phish) and Amanda Green, and directed by Neil Pepe (Speed-the-Plow). Nearby and delicious, Eatery offers a new American menu that’s asian influenced. Try the Red Curry Chicken Breast over roti pancake, with baby carrots and red curry coconut sauce ($16.95). Valhalla’s minimalist space is chill, letting the 24 brands of beer from all over the world on tap be the main attraction at this bar. While its warm out, waste a little time walking through Central Park, relax, and get out of the hustle and bustle of the city. Just watch your step. The working horses tend to leave surprises behind them!